You are here: Home > Default Blog Page > How can cashflow planning help your financial journey? Do you know how cashflow planning can help you? Your financial life is like a journey. Some people travel wherever the winds take them. Others know exactly what they want and where they want to be. Your financial journey can be the same way. That’s why you need a plan, and that is why a cashflow plan can be your guide. Good cashflow planning helps you on your journey and prepare for the unexpected. You can focus on your destination while being clear about where you are. After all, you have to know where your starting your journey from to have any hope of reaching the destination you want. Cashflow planning is the process by which we can map out that journey. We can use it to help you understand where you are now, where you want to be and when, and the challenges and obstacles you might face on the way. Cashflow planning really comes alive in times of financial change in your life – things like a promotion, a windfall or a divorce. With sensible assumptions and clear objectives, a cashflow forecast can help you see into your financial future and shine a clear light on the road ahead. It can be difficult to plan for things you don’t expect, but how much easier will this be if you can see what’s coming? Watch our short video on cashflow planning. 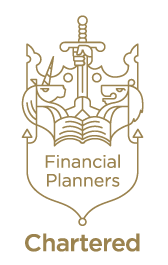 Do you want to make better financial plans? If you want to take control of your financial future, give us a call on 020 8559 2111, or email us at enquiries@bbifp.com. We offer a free initial consultation at no obligation.